Description: TSAL179 - Raw Power Marble Statue - If you are in the market for some interesting garden ornaments, take a look at this sculpture. With a contained fierceness emitting from its hand carved marble, Raw power is one of those animal statues that just can’t be ignored wherever it’s adorned. 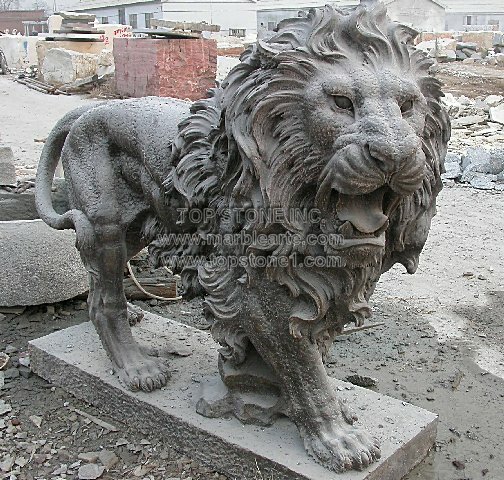 This lion garden statue is an appealing arte decoration that you can find as marble statues life size on sculptures for sale. Don’t regret not buying this great lawn statuary tomorrow, when there’s still time today. If there’s any more doubt, just take inspiration from the marble statues uk.